Dany Bouchedid is a relationship-driven entrepreneur, leader and visionary with a proven track record of success in building, growing and managing multi-million dollar enterprises. In 1999, he founded and is currently CEO of COLOTRAQ, a full-service sourcing and consulting firm that helps companies and institutions source data center colocation, managed hosting, cloud computing, network infrastructure and other related telecom services in 140 countries. Dany has been published and quoted in various industry publications and has been a speaker at several industry conferences. He has served on several boards for both non-profits and corporations. Previously, he was a relationship manager in Chase Manhattan Bank’s Technology Services Division where he was responsible for cash management, US dollar clearing, and FX trading back-office solutions to multinational corporations. From 1992 to 1996, he developed automated systems used for monitoring investment portfolios as a member of Merrill Lynch’s Corporate Services Group. Dany is the founder and president of The Bouchedid Foundation, a registered 501(c)(3) non-profit charitable organization whose mission is to identify and evaluate thousands of charities and non-profit service organizations and rank them using our proprietary algorithm to determine which causes to fund directly. The foundation considers a multitude of variables including the focus of the charity, the urgency and direness of their cause, and the level of disenfranchisement and vulnerability of the group they service. The ultimate goal is to fund the most immediate and worthwhile causes that are affecting the most underprivileged and neglected groups. As Adjunct Professor in Montclair State University’s School of Business, he has taught Strategic Management, Patterns of Entrepreneurship and Ecommerce. He holds an MBA in Finance and International Business from New York University’s Stern School of Business, and he has an active real estate license in the state of New Jersey. Lou manages the day-to-day activities of the business. He is responsible for the development, design, operation, and improvement of the systems that create and deliver the firm’s products and services and for ensuring that business operations are efficient and effective. A 25-year telecom industry veteran with broad managerial experience in marketing, sales and operations, Lou has served as Vice President of Operations for Cypress Communications, Director, Field Operations for WorldCom, National Director of Product Management for Shared Technologies Fairchild, and Vice President of Marketing and Product Management for JWP Telecom. Lou is a sought after presenter at prominent industry forums. Most recently he delivered a talk entitled, “The Case for Data Center Services Is Strong in a Weak Economy”, at the Spring Channel Partners Conference and Expo. He holds a Bachelor of Science in Business Management from Fairleigh Dickinson University. 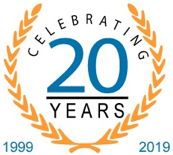 Don has spent over 20 years in the computer industry working for VARs and Systems Integrators. Don was a Field Engineer servicing the Bell companies in New Jersey before moving into corporate sales. As a Sales Manager for Tara Enterprises of Princeton he sold LAN solutions to corporations such as Johnson and Johnson, ETS, and Charming Shoppes. As the VP of Sales & Marketing for RVC, a New Jersey based Systems Integrator, he managed a group of 10 sales and engineering personnel. Don’s group sold data center infrastructure solutions to Merck, New Brunswick Scientific, and Open Text. 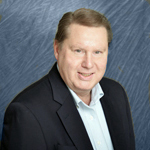 Don has certifications with IBM, Sun Microsystems, HP, Microsoft, and Hitachi Data Systems. He is also a Certified Telecommunications Professional. 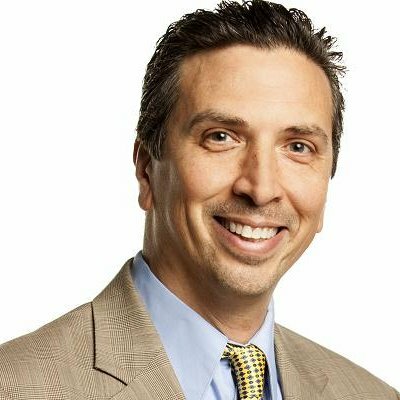 Mark Goebel joined Colotraq as the Vice President of Cloud and Cybersecurity Program Management. Mark has been leading CIO3, a strategic partner of Colotraq, delivering an enterprise cybersecurity planning service and cloud services agency. In his 27 year career as an experienced IT executive, Mark has been responsible for more than 50 data center and cloud services transitions of all sizes to support business goals and to optimize IT resources and budgets. Mark comes to Colotraq as an experienced IT executive, having served as the VP of IT for the premier membership association in the digital transformation, Agile IT, Internet of Things (IoT) and SmartX space, TM Forum. Mark lead TM Forum’s internal digital transformation by architecting several cloud platform acquisitions and upgrades. The pinnacle of the digital transformation effort was the delivery of the platform as a service for community engagement where 900 businesses with tens of thousands of employees came to collaborate on digital R&D. Mark also lead the technology strategy and new technologies development and delivery for the Girl Scouts of the USA. As a part of this role, Mark developed relationships with key technology partners who developed and supported Girl Scouts programs. Mark’s industry experience has allowed him to forge relationships with major enterprises such as Intel, Microsoft, EMC/RSA, Google and Facebook. Having served in the US Air Force early in his career, Mark was proud to lead the data transformation team on the Air Force HR and Payroll systems design project in 2013-14 as an experienced civilian data design/data quality expert. Jeff is an experienced Enterprise Technology Leader with a demonstrated history of accomplishments in the financial services industry with skills in IT Infrastructure Management, IT Strategy, Data Center, Management, and Project Portfolio Management. He is a strong business development professional with a Bachelor’s degree in Computer Science and Applied Math from SUNY Albany and a Master of Business Administration (MBA) focused in Management Information Systems from Pace University. 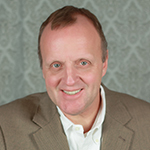 Jeff is currently the President of J & A Resiliency Partners, a firm that he founded, where he provides advisory services on Operational Resiliency, focusing on virtualization techniques, Data Center Operations and Relocations, Business Continuity planning and Vendor Management. Previously, Jeff has worked at Brown Brothers Harriman where he was the Managing Director of Enterprise Functions where he focused on all aspects of Infrastructure Support which included managing 16 data centers around the globe and all hardware and software that ran in those data centers. Jeff also worked at Salomon Brothers as a senior vice president responsible for Enterprise Systems support. Lauren joins COLOTRAQ with over 20 years of client relationship management and customer service experience having worked for luxury brand giants such as LVMH and Tiffany & Co. As our newest addition to the Channel Management team, she will be focused on our Elite Partner Program which provides the highest level of service and support to COLOTRAQ’s top agent partners. She transitioned into the tech world with her most recent position as Customer Service Manager at MECA Electronics, a global RF Microwave component manufacturer. In her role there, she maintained relationships with the engineering departments of large enterprises such as Lockheed Martin, L-3 Communications and Verizon Wireless. She is also a Certified Telecommunications Professional. Paul DeVries joined the COLOTRAQ team in August, 2017 as the Director of Cloud and Cybersecurity Program Management. Paul brings with him over 25 years of experience from a wide array of roles within Finance and IT disciplines. During that time he primarily focused on the pharmaceutical and financial services industries, often providing leadership at a global level. At Roche Pharmaceuticals, he led the global (80 countries) management of projects, services, and vendors for the drug development group’s learning management systems. As a former buyer of services that go across functions and geographies Paul has a great appreciation for the one stop shopping that COLOTRAQ provides its datacenter clients. Having started his career as an auditor at KPMG, Paul has a deep understanding and appreciation of COLOTRAQ’s unique cybersecurity assessment and audit offering. It is this experience that uniquely positions Paul as an advocate for COLOTRAQ’s real time, any time cybersecurity assessment offering. With numerous speaking engagements professing the benefits of Cloud Implementations, John is a nationally recognized Thought Leader in the field of CRM, SaaS, IaaS and Enterprise platforms for nearly 20 years. His expert level experience and knowledge encompasses design and archetecting implementations for multiple Fortune 500 firms that sell Software, Pharmaceuticals, Life Sciences, Whole and Group Life Insurance, Federal, Education Management, High-End Retail and Asset and Wealth Management firms. His ability to listen, solution, guide and steer executive leadership to the best possible solution is just one of many of his innate qualities attributing to his life passion of “Benevolent Leadership.” His pride and heart drives John to always do the right thing for his clients as it’s woven into his who he is as a husband, father of 3, former Volunteer Firefighter and Wall Street Sales Enablement executive. 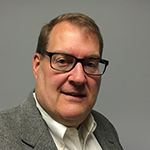 Tim Griffith joined the COLOTRAQ team in November 2017 as the Director of Cloud Infrastructure and Cybersecurity Program Management. Tim brings with him over 25 years of experience from a wide array of roles within IT leadership and consulting. During that time, he’s primarily focus has been on IT infrastructure and Business Continuity/Disaster Recovery as a consultant and Senior IT Leader on a global level. While working as an Senior IT leader at a Walt Disney Studios subsidiary, Tim was appointed as CIO and tasked to create an entire IT infrastructure for a new global media company and tasked to create an all aspects of a fully functioning IT department. Tim led the efforts to create the new company IT infrastructure based on a colocation data center model. All critical, business supporting, IT systems were collocated in a primary data center, with a redundant data center for Business Continuity and Disaster Recovery purposes. This IT Colocation Model ensured the business systems would be protected and accessible for any user connected to the Internet from any location around the world. Having started his career as a Consultant for the Information System and Technology practice of Coopers & Lybrand Consulting, Tim has a well-rounded background and understanding of COLOTRAQ’s Colocation and Cybersecurity practices. 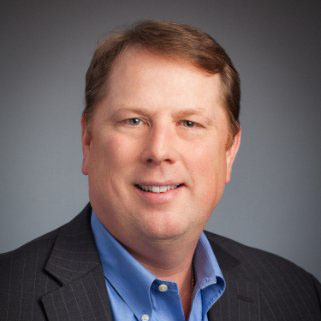 Utilizing his experience, Tim is a strong proponent for COLOTRAQ’s Cybersecurity offerings and the ability to work with clients to provide meaningful risk assessments and solutions. Prior to joining COLOTRAQ, Viviana was a part of the mortgage team for Wells Fargo Bank in their Charlotte, NC location. 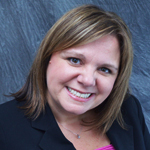 With her financial background, she brings several years of client relationship expertise. Dedication and integrity is applied in all her job roles. As a former mortgage closer she ensured all federal marketplace regulations were met, monitored the transition from closing to the final servicing of loans, and closely collaborated with third parties and interoffice colleagues all completed with reliability and accountability. Her experience also consists of managing invoice communications with clients and assisting the sales department for MECA Electronics. During her spare time she assists on the Welcome Team and Young adults ministry for Hillsong United Church located in Montclair, NJ. 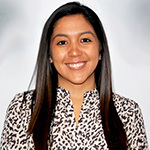 Viviana graduated from William Paterson University in 2015 with a BS in communications.